We include a personalized card with each pair of shoes. Decorate a card for a child right now, either online or by hand. Decorate a card and write a personalized message online. 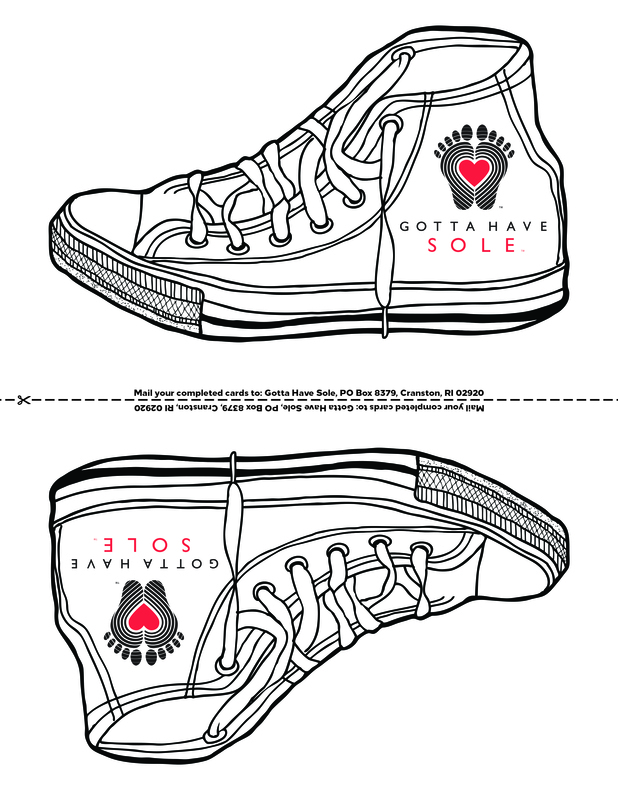 We will print your card and hand-deliver it to the next child who recieves shoes. You can also print out our template. Decorate a card by hand right now or invite some friends over for a card decoration party!